Photo source: Jeremy Weate. Some rights reserved. The Pashtun, or Pushtun, are a race of warriors who live primarily in Afghanistan and Pakistan. They consist of about sixty tribes, each with its own territory. Although their origin is unclear, their legends say that they are the descendants of Afghana, grandson of King Saul. However, most believe they probably arose from ancient Aryans intermingling with subsequent invaders. 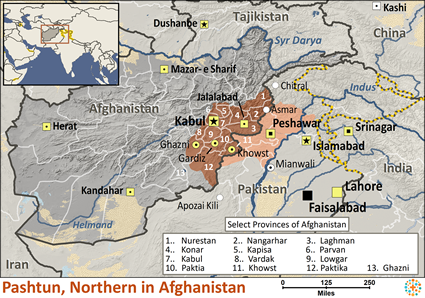 Most of the Pashtun live in southern and central Asia. Their homes lie along a chain of barren, rugged mountains. Distinctive tribal customs and traditions also form an integral part of Pashtun society. The true essence of their culture can be seen in the "code of ethics" that they live by. This unwritten code is called Pushtunwali ("the way of the Pushtun"), and is close to the heart of every Pashtun. Pushtunwali is followed religiously, and it includes the following practices: melmastia (hospitality and protection to every guest); nanawati (the right of a fugitive to seek refuge, and acceptance of his bona fide offer of peace); badal (the right of blood feuds or revenge); tureh (bravery); sabat (steadfastness); imandari (righteousness); 'isteqamat (persistence); ghayrat (defense of property and honor); and namoos (defense of one's women). 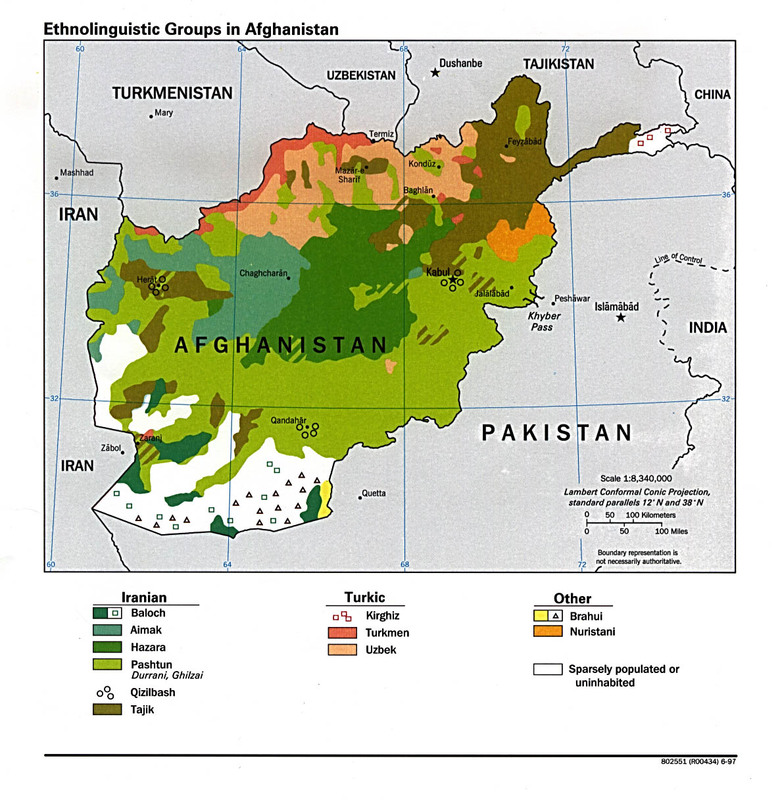 The majority of Pashtun are Sunni Muslims. Islam came to them as a great liberating and unifying force, freeing them from the cult of Brahminism and the harshness of Buddhism. For this reason, their underlying faith and steadfast devotion to Islam are very strong. Many of the Pashtun are extremely poor and live in unsanitary conditions caused mainly by poor water supply. A large number of the adults are also illiterate. The need for qualified medical teams and school teachers is great. * Ask God to grant wisdom and favor to mission agencies that are focusing on the Pashtuns. * Ask God to encourage and protect the small number of Pashtun believers. * Pray that God will provide greater peace and freedom to live and work among the Pashtun. * Ask the Holy Spirit to soften their hearts towards Christians so that they will be receptive to the Gospel.View Pashtun, Northern in all countries.